Home Ceramic cookware What are the benefits of ceramic cookware? Lets find out. 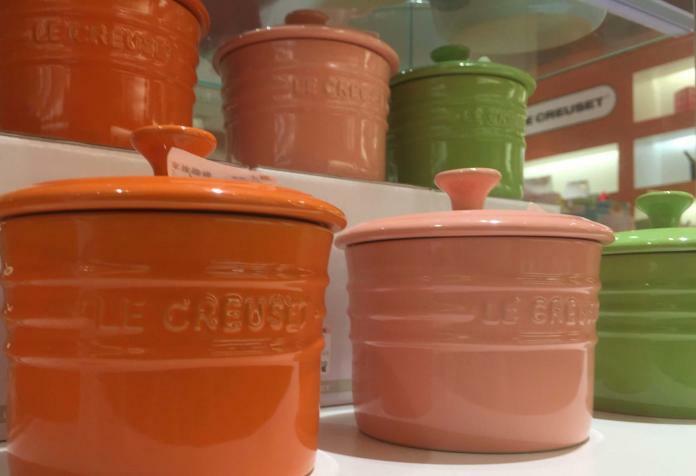 What are the benefits of ceramic cookware? Okay, most of our readers have used ceramic cookware before. We use ours a lot for baking and roasting. However with so many different choices why would you use ceramic over another material? “What are the benefits of ceramic cookware?” Read on, we will cover both the benefits the disadvantages of using ceramics in your kitchen. We think it is an important question to ask ourselves before rushing out purchasing new cookware. Also some maybe concerned about cooking surfaces, is ceramic cookware safe to use? Can ceramics be used in the microwave? Let’s find out. Humans have used pottery as cooking utensils for thousands of years. Firstly, let’s look at the use of ceramics though-out history. It’s pretty safe to assume ceramics have been used for a long time. In fact pottery is one of the oldest cooking and food storage surfaces in human history. Some of the oldest artifacts to store food and liquid have been found in China and Japan and were made of ceramic pottery. It is thought that many technological discoveries and early pottery techniques came out of Asia and moved west, to India, Mesopotamia then to Europe and Egypt. The earliest known examples of pottery dates back to 18000 BCE in the Jiangxi province in China. You may find our article on the “Evolution of cookware” interesting if you what to learn more about the history of early pottery. Pottery vs Ceramics what is the difference? People use pottery and ceramics interchangeably, some may refer to “ceramics” as something glazed, while others may call a small glazed vase “pottery”. Although the word ceramics is used more widely, for example ceramic tiles, sinks and used in a variety of industries such as aerospace. Generally speaking pottery is the earliest form, when clay was fired at a lower temperature or not fired at all. On the other hand ceramic pottery is fired at a much higher temperature. Ceramic cookware and bakeware are the most commonly used terms to describe clay glazed cookware and bakeware. What are the disadvantages of ceramic cookware? With so many choices of cookware available, what are the pros and cons of using ceramic cookware? 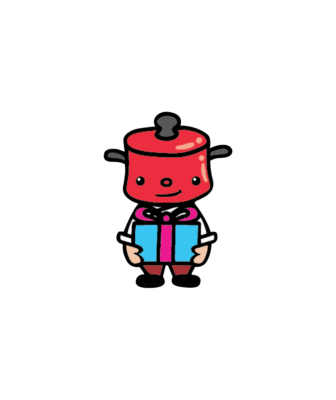 We would like to finish on a positive note, so lets start on us of the disadvantages of ceramic cookware. Breakable – both your bakeware and ceramic kitchen tiles are in danger of cracking if you drop your ceramic cookware from a height. Some brands are more shock resistant than others. This tends to favour the brands we recommend and use on the Boonie Hicks site. Poor thermal conductivity – most ceramic cookware are unsuitable for direct heat. It simply won’t work on an induction element and if placed on a gas hob your ceramic cookware may crack. Varied quality – ceramic dishes are everywhere and the quality and price can be quite varied between brands. If buying at a store ask to open the box and inspect the product for any defects. Or if buying online make sure of retailers return or replacement policy. Toxic? – ceramics are non-toxic and food safe. However it is best to mention some ceramic glazes may contain lead and cadmium. Today regulating bodies should prevent the importation of this cookware. However if in doubt check with your food and drug regulation authority. Many brands may advertise their product as lead and cadmium free. “Heres (link leaves the site)” why we prefer trusted brands. Versatile – ceramic dishes really are great for use in the oven. Also because of the ceramic glaze which forms a non-porous layer, dishes can bee used to store food in the fridge or freezer. Then reheated in the oven again when needed and to answer one of our earlier questions Can ceramic cookware be used in the microwave? Yes it sure can. However Nanas’ gold rimmed plates are a no go. Yes I’ve tried as a youngster. Quality and heat distribution – ceramic dishes have very good thermal density, especially the higher quality products which are usually thicker. Thermal density usually means a dish takes longer to reach the desired temperature. However, once at temperature heat spreads more evenly. We are really impressed with our Emile Henry ceramic dishes, they really seem to hold the heat. Durability – ceramic covered cookware is one of the sturdiest materials available on the market today. It also maintains its luster and requires very little maintenance. Ceramic dishes can last for many years and still look great. Low Maintenance – ceramic dishes are easy to clean, as it offers a non-stick surface. If food ends up sticking to the surface using scouring pads or washing powder should not damage the surface and should not leave scratches or marks on the bottom of the cookware. Attractive – ceramic cookware can look like a piece of artwork. You can display it on shelves or as decorative pieces. Non-reactive – If you are looking for the best non-reactive cookware then it’s hard to look past ceramic cookware. It’s totally non-reactive to food. What are benefits of ceramic cookware? Did we mention ceramics are modern, trendy and traditional all at the same time. What more can you ask for? Some other benefits of ceramic cookware is that it’s trendy, modern and traditional so no matter what style kitchen you have ceramic cookware will look right at home. 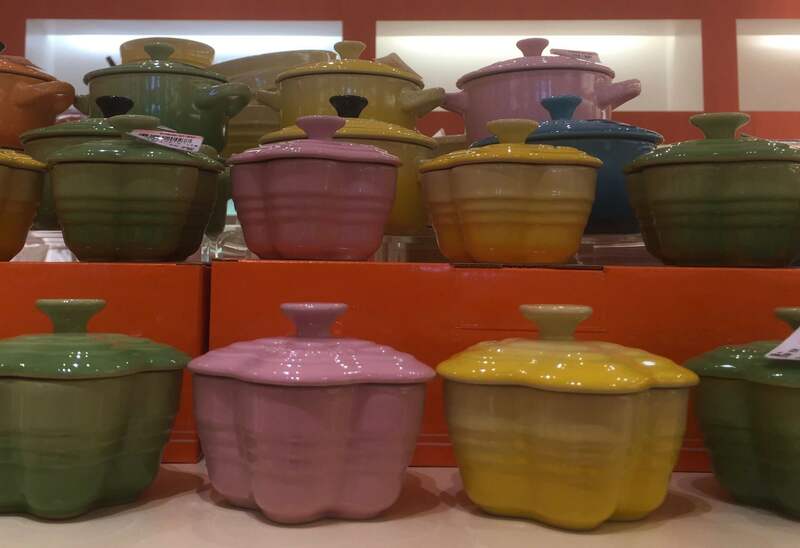 While other cookware have gone in and out of fashion, ceramic dishes have always remained popular and one of the most used items in the kitchen. From the oven the to the fridge or freezer then back in the oven again. Ceramic dishes also make wonderful gifts for most occasions: birthdays, weddings, Christmas presents you name it. If you are looking for ceramics we really don’t think you can look past: Le Creuset, Staub and Emile Henry. They combine beauty and durability and would make a perfect gift for any foodie. Previous articleIs cast iron too heavy? Try the Emile Henry Dutch oven. 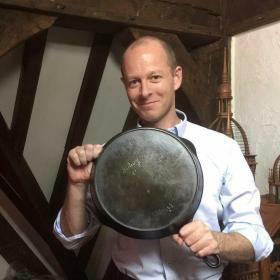 Next articleWhat are the pros and cons of cast iron cookware?